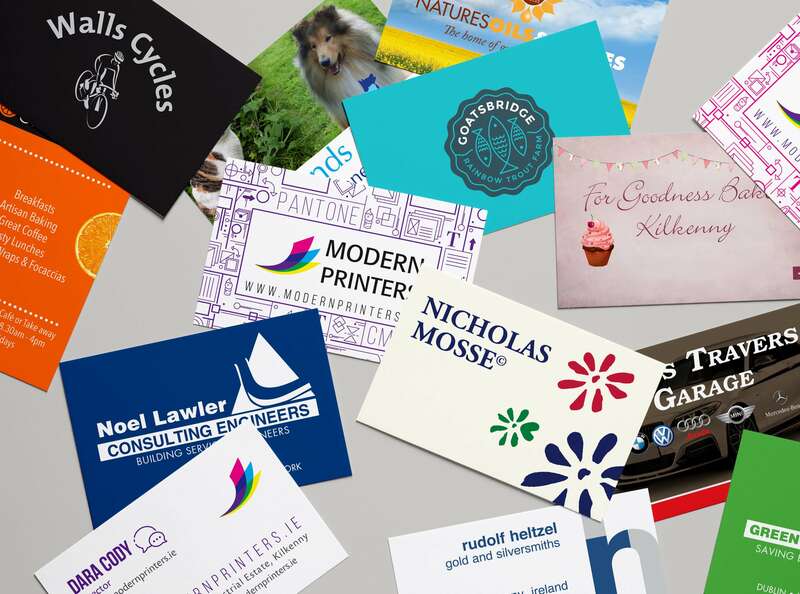 Modern Printers can assist with all your business card requirements. Clients can avail of our in-house design team to create your desired design, or a completed design can be provided to us to go directly to print. Choose from a variety of finishes, textures and card thickness. Printed on our top of the range digital printing presses, we can also offer matt or gloss lamination and foiling services. Card thickness options from 350gsm to 925gsm.